Your website is the point of contact for you and your customer. That is why you need to make sure that your website is perfect. For this purpose, you need to make sure that your website has new and updated content. It should have a user friendly interface and an attractive lay out. Your website should also have your business address, working hours contact number, email id, etc. so that your customer can contact you according to their convenience. You should target your customers according to the reach of your business. For example, if your business is limited to a city then you should target your promotional activities only to that city. If you cater to a country then don’t try to promote it internationally. Doing so will be a waste of your already limited resources and if you target your audience properly then you will receive better results. The content of your website is absolutely vital so make sure that it is perfect. Research the keywords and phrases that your customers use in their searches and incorporate them in the content of your website. If you can start an informative blog about your business and promote it, the readers, if impressed, will come to your website check out your business. This will increase the traffic on your website which will increase your customers. The internet is accessible on many devices. People use desktop computers, laptops, mobile phones and tablets to surf the internet. You never know which device your customers may use. Your website should be able to function smoothly on any device. If it does not, then you stand to lose customers. When people are using the internet, people spend a fair amount of time on social media websites. If you are smart about it, you can create real buzz for your business which will increase your customers. For example, appetizing photos of food from your restaurant can cause a frenzy of sharing resulting in increased number of customers in your restaurant. When it comes to digital marketing, there are many avenues available that you can exploit. But for this purpose you need to get familiar with the many techniques of digital marketing such as Search Engine Optimization (SEO), Search Engine Marketing (SEM), Social Media Marketing (SMM), Pay-Per-Click advertising, Affiliate Marketing and Email Marketing. To know them in great detail, a class room experience will go a long way as you will get to learn from experts who have actual on-field experience. 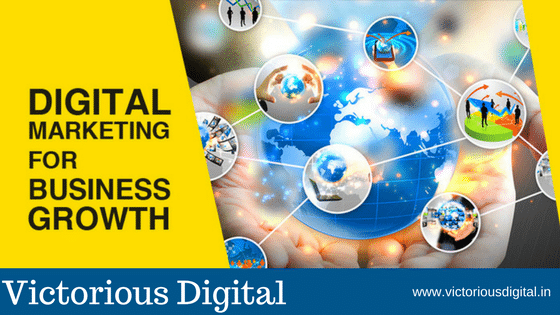 If you are looking for a digital marketing training institute in Pune, then join Victorious Digital which is a premiere digital marketing training institute in the heart of the city. If you follow these tips then you fill surly find that your business prospects are golden.